When selling single products that are also available in bulk packages like 4 packs, 6 packs or 12 packs it may raise some inventory issues. Sure it will work well if all those products are separate and they can’t be split up, but when selling bottles of wine for example its common to be able to order a box of 6 bottles and single ones. 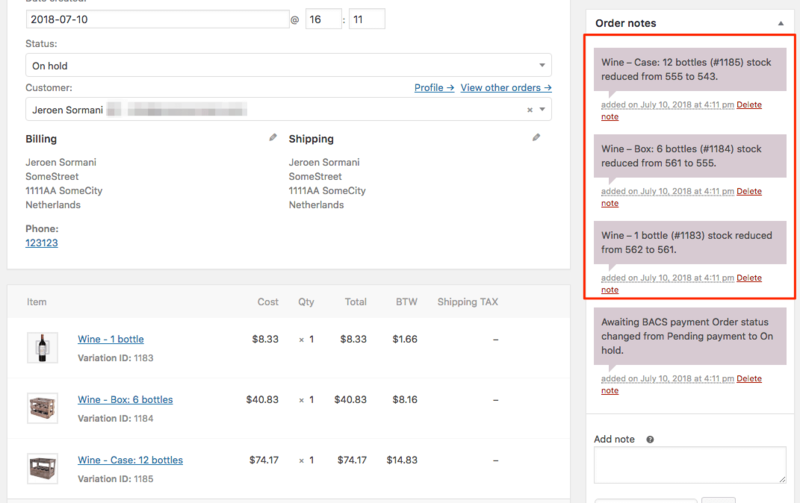 A common used technique within WooCommerce for such products is to use variations of a product to sell the multi-quantity packs of those products. However, the inventory issues will remain with that. 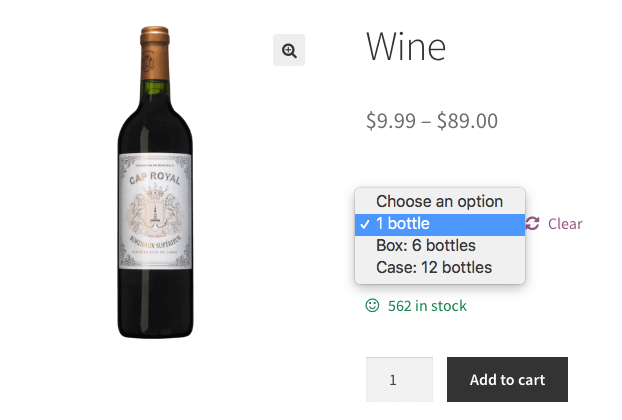 It is possible to enable inventory management on a product level, but this doesn’t deduct the proper quantity when selling a box of 6 bottles, since the customer is in fact just purchasing 1 quantity of it. 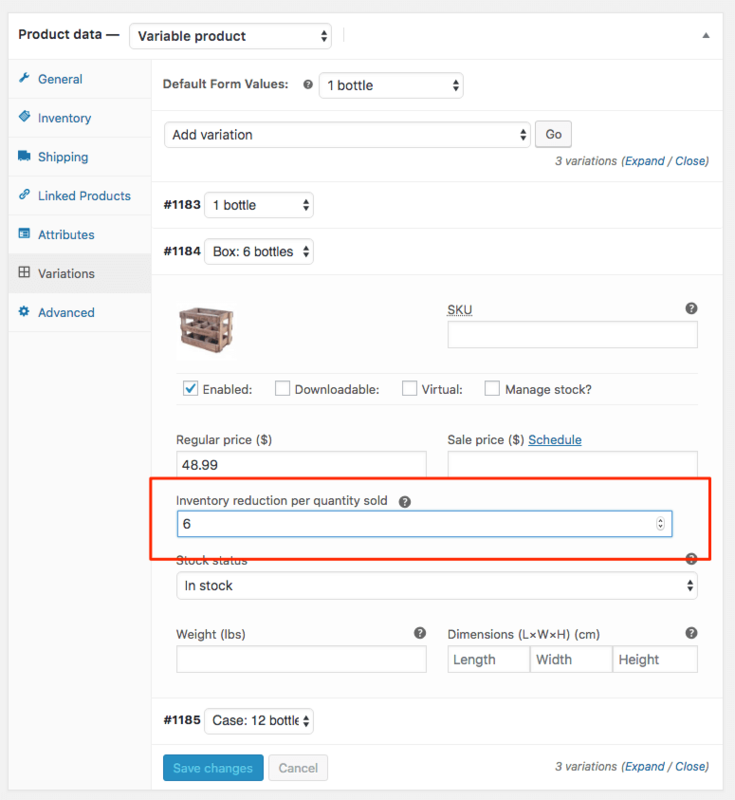 In this post I’m going to show how you can in fact reduce products with a custom quantity for simple product and variations specifically. Lets start by creating a new setting first. Making it available as a simple product and variation specific setting. The following code snippet adds such setting to the products, I’ve written more about adding product settings before here; Adding Custom Product Fields. 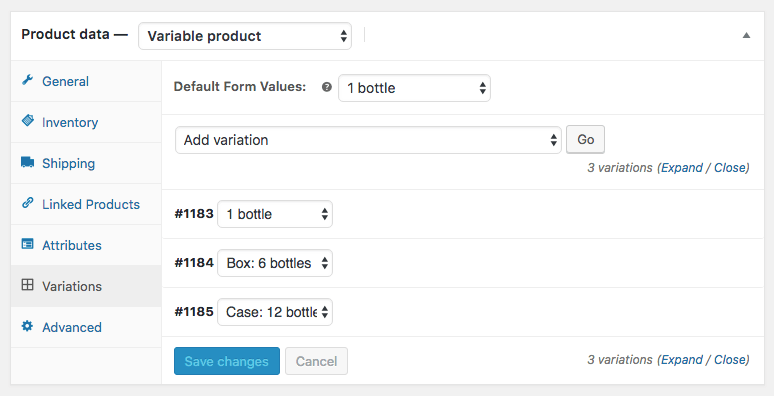 With this in place you’ll have a setting in the ‘Inventory’ section and for variable products also a setting per variation. Now for the part that actually reduces the custom stock quantities when someone purchases a product. The following code snippet changes the quantity that is used for reducing stock with a sum that multiplies the quantity purchased with the number that is set in our custom setting. This takes in account when purchasing a variable product to take the variable setting, or when not set it will take the product global setting instead. Each variation has the Stock Reduction settings configured accordingly to 1, 6 and 12 reduction per purchased quantity of the variation. The total inventory quantity is set at the product level. Thats it, hope you’ll find this useful! Thanks very much for this very clever Custom Stock Quantity Reduction code. Greatly appreciated. I have been experimenting with it and it indeed reduces the stock as described. 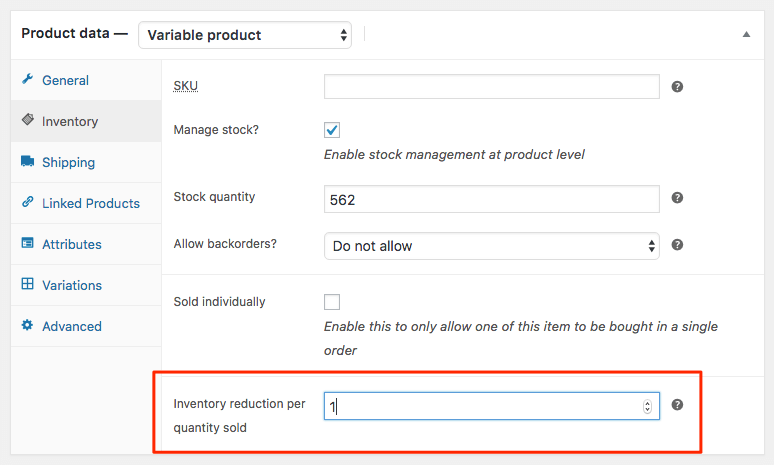 Do you know a way to tweak it so that unavailable quantities are hidden or marked as out of stock to prevent them being ordered? For example if there are 8 bottles left in stock, the 1 and 6 bottle options should be available but not the 12 bottle option. Thats a good question.. I haven’t looked into that myself, but should be possible to do. What I’d recommend doing is having your webdeveloper assist with that customization (feel free to reach out to me if you don’t have a developer/would like to discuss this) – I can’t really do it within this blog post. Would love to know if you got some code snippet to check the stock levels too for each variation? 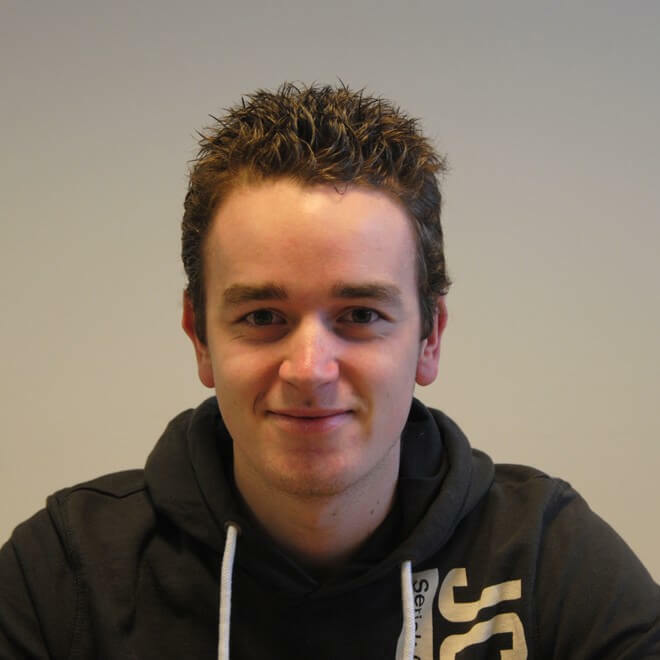 Hello Jeroen! Its exactly what i was looking for. But now i have the same problem that Neville, i need to show the items as not available to prevent people to order them. Could you help me with that? i’ve been trying but i can’t get the right code. Can this snippet be made to reduce inventory of the parent SKU of the variable product rather than reducing inventory for each variant? That is exactly what this blog post is describing.